This movement is a force to be reckoned with. Join the party. After suffering a hypoglycemic episode, my new friend Donna reaches a gushing river where the once clear path of rocks has now been submerged. “I don’t see it. I don’t see it,” she says, shaking her head, as our guide Mariana helps her across with an outstretched hiking pole. Donna forges on through the pouring rain, talking about how beautiful the turquoise lake looks on the horizon. 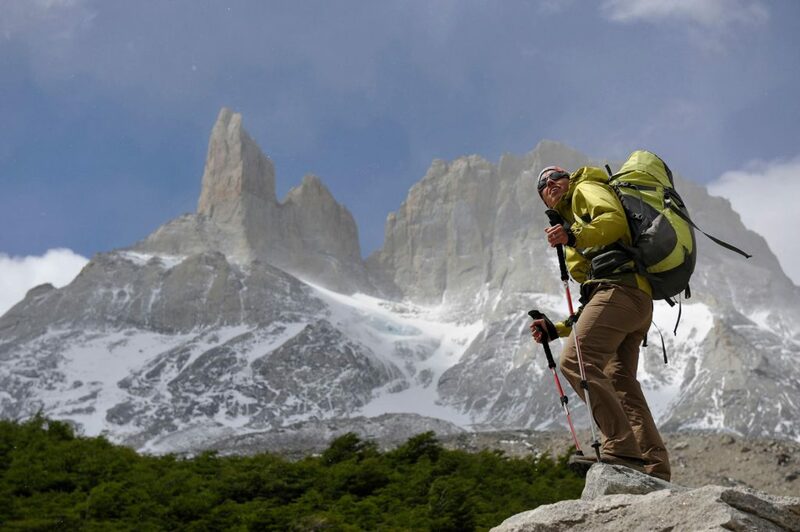 I’m with 12 women hiking the legendary W Trek in Patagonia’s Torres del Paine National Park. We’re at the start of a 10-day off-the-grid Wild Women Expeditions trip. In more than a decade as a travel journalist, I never gave much thought to women’s-only adventures. And yet, as we march deeper into the vast UNESCO biosphere reserve, listening to a soundtrack of laughter, whipping winds, and Eso! Eso! cheers, I realize it’s the women making this journey at the end of the world so incredible. It was one of those stripped-down travel moments when you feel part of something bigger than yourself. That first night on the trail, thawing in our long underwear on the cabin floor of Refugio Los Cuernos with a couple bottles of wine and a container of Pringles, we toasted to Donna’s fierce strength—and the strength of us all. It was one of those stripped-down travel moments when you feel part of something bigger than yourself. No two stories were alike. One woman was considering divorce, another was preparing for life without her cancer-stricken husband, and one simply wanted to visit Patagonia with adventurous gals. What Donna said rang true; we were there for each other long before we ever met. Plus, the connective thread—a wild spark, the desire to be totally absorbed by nature and discover a new side of ourselves—easily created a sisterhood you could call las gauchas salvajes. All-women’s adventure travel isn’t new. 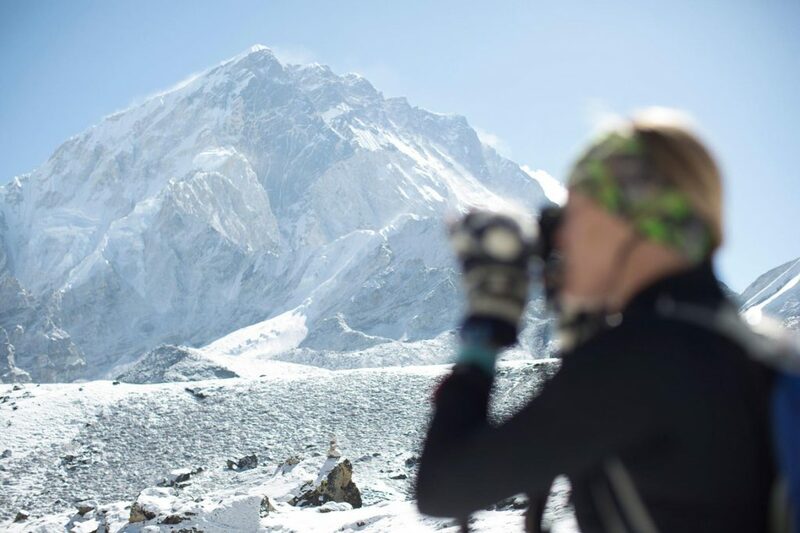 Wild Women Expeditions was founded in 1998 and Gutsy Women Travel in 2001, but social media, growing financial independence, and a progressive female empowerment movement have accelerated this already steadfast community of women. Many of these travelers are in their 40s, 50s and 60s, looking to connect with one another through outdoor experiences beyond vineyard hopping or a cruise. The female-focused travel industry is booming. 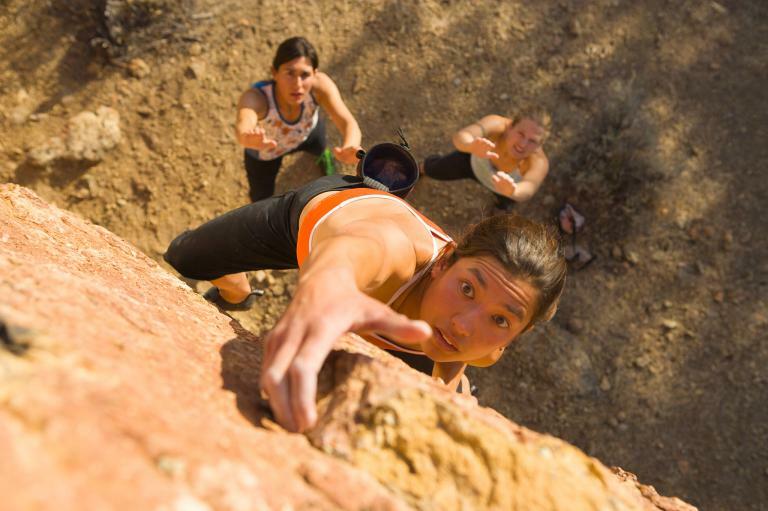 According to the Adventure Travel Trade Association’s 2018 industry survey, 53 percent of adventure travel customers are female compared with 51 percent in 2017. Marybeth Bond, one of the modern pioneers of female travel, cites a 230 percent increase in the number of women-only travel companies in the past six years, and women spend a whopping $50 billion annually on gear. “We still have a long way to go, of course, and decades of sexism in the outdoor industry to fight against. But I think companies have gotten better at marketing to women, which is a good thing because it means that women are a larger part of the conversation,” says Abigail Wise, online managing editor at Outside magazine. In a haze of happiness and postpartum depression, I started to plan my maiden voyage into this female-only adventure world. My husband encouraged me to find camaraderie in the great outdoors, and I was surprised to learn there was a high-quality all-women’s adventure for just about every budget, sport, locale, and ethos. You can Surf with Amigas in Nicaragua or train with an Olympic skier in the Chilean Andes with Keely’s Camp. How about trekking to Everest Base Camp with Sharon Wood or taking an alpine climbing Chicks with Picks clinic in Colorado? In between aquatic pursuits in Playa del Carmen with newly launched Vaera Journeys, you can workshop a bold career move with a business coach and entrepreneurial-minded travelers. Consider Nepal & the Mystical Himalayas or Untamed Iceland with Gutsy Women Travel, which plans to launch Gutsy Girlfriends in 2019 to service a younger demographic of millennials. Since debuting Damesly two years ago, co-founder Kelly Lewis has broadened the all-women’s playing field with refreshingly offbeat curations like an “Islands + Identity” surf adventure in Hawaii and a “Canyons + Camera” weekend retreat in Arizona. I want to see women grow, succeed, and conquer. Staring into outer space on a flight over snowcapped mountains and Chilean fjords, I felt hollow without my 20-month-old son. I didn’t yet know the remarkable tribe of mommas that awaited me in Patagonia. WWE has become the largest women’s travel company in the world by number of departures. When Hadddow bought WWE eight years ago, it was just operating 20 trips in Canada. Today, there are 60 unique women-led trips and 180 different departures from 25 countries. Experiences range from a Women on Water weekend in Ontario to an eight-day Galapagos Islands Eco-Yacht Adventure. It snowed during our final push to Torres del Paine—the three iconic granite towers from which the surrounding national park gets its name. The peaks were hidden. We’d traveled thousands of miles for this moment, carried the towers in our pockets on Chilean mil pesos, and saw them looming in the distance from our geodesic domes at EcoCamp, but still, we’d made it. “Eso! Eso!” we yelled, our voices echoing across the emerald lake at the base of the shrouded formations. We ate lunch and were 10 minutes into the long rocky descent when our guide Catalina shouted, “Vamos! Vamos!” The fog had lifted, the snow stopped, and the mountains were most definitely calling. Even after a challenging day trekking 11 miles and knowing that five adventure-packed days still lay ahead, we took one glance at each other and ran towards the sunlit Torres del Paine.